Discussion in 'Bird Hunting' started by DangerRanger, Apr 27, 2017. I don't get to turkey hunt very often, but I take full advantage of every opportunity I get. This is my first bird with decoys. One day I'll learn to give up the FoxPro........but I'm taking full advantage of it for now! lonepunman, Cazz, djones and 3 others like this. You can not use electronic calls for migratory birds in Texas. Turkeys are not considered migratory. "Calling devices (including manual and mouth-operated), recordings, and electronically amplified calls may be used to hunt game animals and game birds, except electronic calls may not be used to hunt migratory game birds, unless allowed by special regulation." Nice turkey! Electronic calls are no-go in SC. Yeah, Texas does have some of the most loose hunting laws......it's spoiling. Nice turkey! I'm still trying to learn to use manual calls. hmm... i didn't know there were ANY rules. thanks for the heads up! DangerRanger and der Teufel like this. No closed season on dirt clods, and no bag limit! Great photo! Unfortunately, Illinois does not allow electronic turkey calls. Not that it matters because I struck out this year anyway. 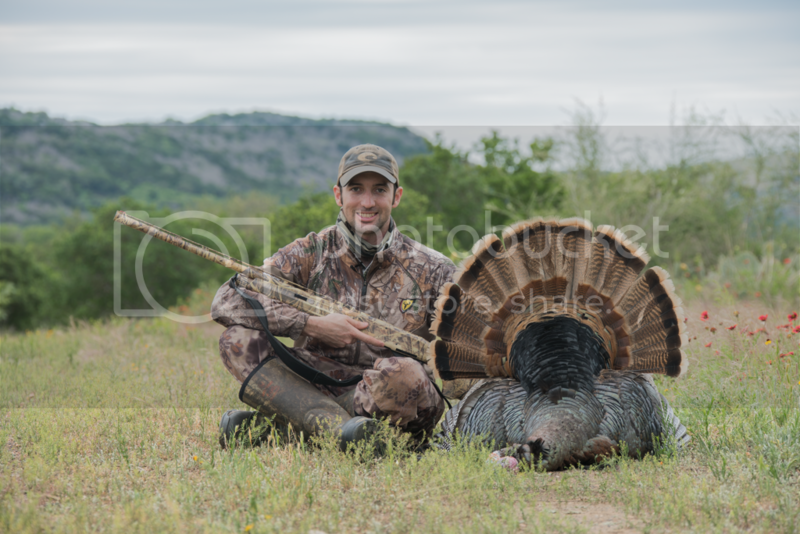 No turkey came close enough to me for a shot during the second season when I was out there. Already henned up and call shy.